We will be holding a kayak demo in Colwyn Bay, North Wales, on Saturday 30th May at the Colwyn Bay Blast event. We will bring a range of our demo kayaks for you to try on the water. The Colwyn Bay Blast is a 15 km race starting and finishing at the beach by Colwyn Bay Watersports Centre, Porth Eirias. The race is open to surfskis, sea kayaks, outrigger canoes and stand-up paddleboards. If you want to enter the race, please fill in the entry form and return it to the organisers by 16th May. If you have built one of our boats and are able to attend over the weekend of 20th – 21st June, we'd love to see you (and your boat) there, even if you don't intend to participate in either of the two races. You can leave your boat at our stand while you look around, if you are happy for us to let other people admire it! On the Sunday, we will be awarding a £100 voucher to the owner of the best wooden boat or board at the solstice festival built to one of our designs. There will also be prizes for different categories. Boats must be present for judging at 3 pm on Sunday 21st June. We will be holding a boat demo in Keswick at the Derwentwater Regatta over the weekend of 11th - 12th July. 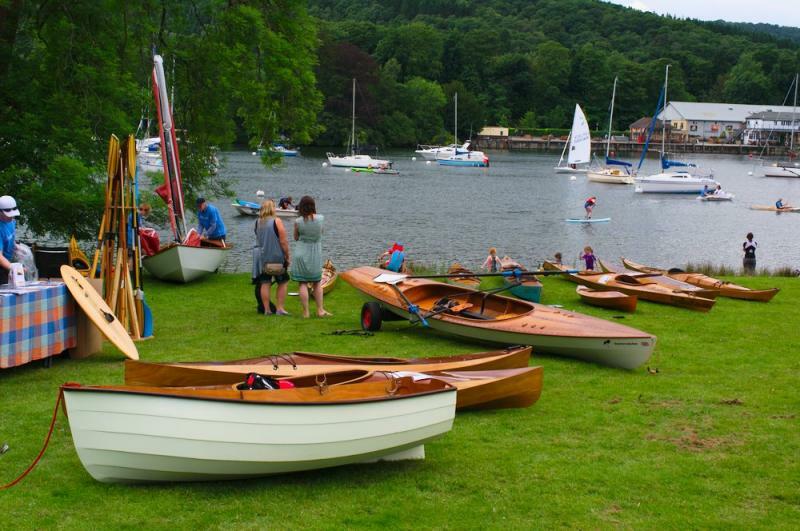 The event is organised by the National Trust and is all about getting out on the water. We will bring a range of our wooden kayaks to the SCA Tay Descent event on Saturday 24th October. Details haven't been announced yet, so we don't know if there will be opportunity for in-water demos. Update, 6th October: The SCA have just informed us that unfortunately there will not be room for vendors at the Tay Descent this year, so we will not be able to attend as planned. We apologise to anyone planning to meet us there and hope you can make it to one of our future events.